This week, the team at Berowra Living History have been very puzzled by our mystery object, as apparently have our friends, online and otherwise! 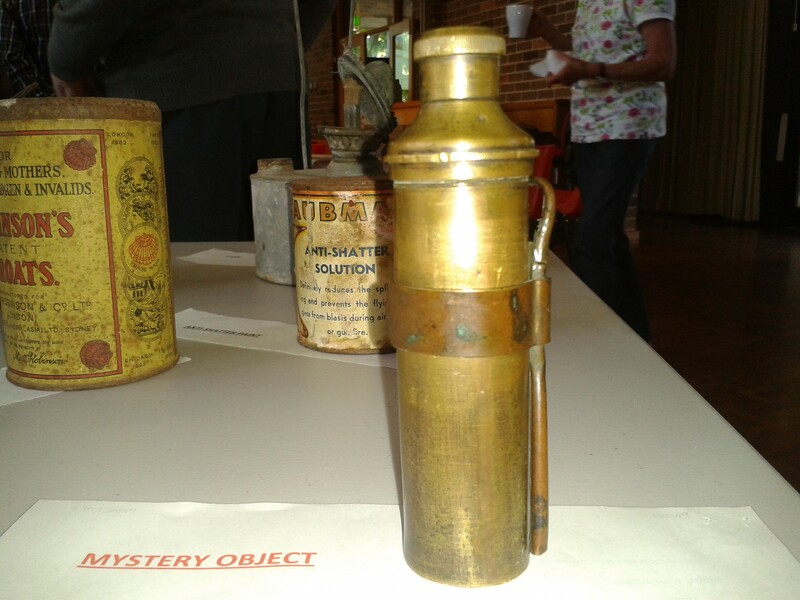 Supposition suggests that the item is pre WWI due to the way it is made, and the metal it appears to be made of – brass. The item is quite small, so it is obviously portable, but its exact use continues to evade us. Some suggest the little item was used to produce steam. Not a bad guess, but what was the purpose of the steam? Others suggest the item is a flask with an overflow function while others still suggest it is for holding and distributing oil. This week, the item has remained a mystery, but if you think you have the answer, please let us know!